The Deaftube Events Page! Want your event published on Deaftube? Shoot us an email to deaftube@deaftube.com with the following information and we'll post it here for all Deaftube fans to see! Student leaders of the Deaf Health Initiative are pushing to improve health care delivery for deaf and hard-of-hearing patients at Johns Hopkins and across the nation. Photography by Mike Ciesielski ---- Allysa Dittmar, Aaron Hsu and Kyle DeCarlo-Gahagan have teamed up to launch the Deaf Health Initiative. 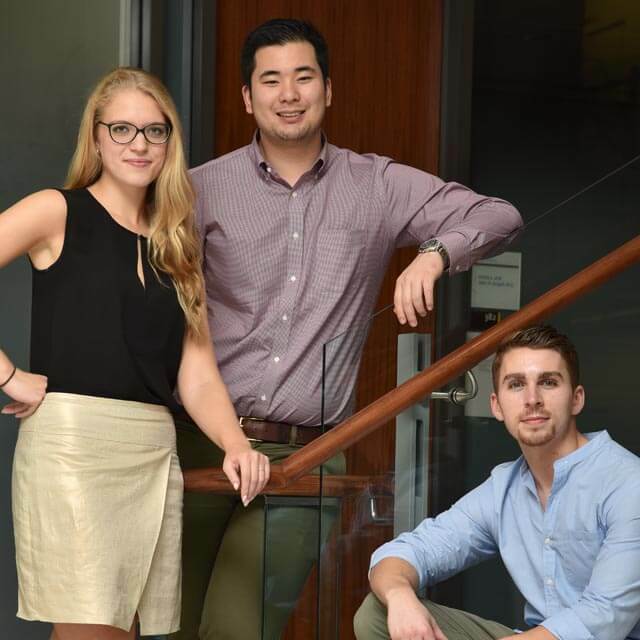 Allysa Dittmar, Aaron Hsu and Kyle DeCarlo-Gahagan have teamed up to launch the Deaf Health Initiative. one of just a handful of deaf doctors at Johns Hopkins. For Kyle DeCarlo-Gahagan, a graduate student at Johns Hopkins’ Bloomberg School of Public Health, the challenges of accessing health care often begin long before he ever sees his doctor. In the waiting room, a nurse will periodically call out names. Though seated just a few feet away, he sometimes doesn’t hear them. He is profoundly deaf. Without his hearing aids, DeCarlo-Gahagan’s world is silent. With them, his hearing is better, but not much. He is a master lip reader, but lip reading only works when he can see his correspondent’s lips. “Once, I ended up waiting nearly an hour until I realized they must have already called my name,” DeCarlo-Gahagan remembers of this and other experiences that have, on occasion, forced him to reschedule appointments. Allysa Dittmar also knows this too well. She, too, is profoundly deaf. Though the Americans with Disabilities Act requires hospitals to provide effective means of communication for patients, family members and hospital visitors who are deaf or hard of hearing, things don’t always go smoothly. “I’ve had to rely on my boyfriend as an interpreter when I wasn’t provided with one,” recalls Dittmar, who is also a Bloomberg School of Public Health graduate student. Privacy issues seep in. Questions about pregnancy, sexual history or drug use asked in front of family can create compromising situations where patients might be less than forthcoming—precisely when they need to be most honest. In more intense medical settings, such as surgery or when dealing with contagious diseases, communication can become next to impossible. Surgical masks prevent lip reading altogether, leaving deaf patients in complete isolation, unable to understand anything that is happening around them. It was such personal tribulations as these that led DeCarlo-Gahagan, Dittmar and Aaron Hsu, a fellow graduate student at the school of public health, to found the Deaf Health Initiative (DHI) in May 2015. Their goal is to improve access to and quality of medical communication, care and education for deaf and hard-of-hearing patients at Johns Hopkins and other health facilities across the nation. While working at Harvard Medical School, DeCarlo-Gahagan helped suggest policy changes to make Harvard-affiliated hospitals more deaf-friendly. Dittmar, in addition to her full-time course load and managing DHI, also serves as a policy analyst at the Maryland Governor’s Office of the Deaf and Hard of Hearing. Hsu leads business development for the initiative. Through his work in operating rooms and critical care units at The Johns Hopkins Hospital as a clinical researcher, he says he has witnessed firsthand many of the struggles that deaf and hard-of-hearing patients face. Despite the stipulations of the Americans with Disabilities Act, says DeCarlo-Gahagan, “there are many loopholes in the ADA, and ‘quality and effective communication’ with a deaf patient can be interpreted differently by hospital administration.” Forms of communication range from simple pointing at objects and handwritten exchanges to on-site and video-based interpretation services. “Somehow, when I was a kid, I thought these problems would have been solved by the time I was an adult. But they haven’t been,” DeCarlo-Gahagan says. According to the Centers for Disease Control and Prevention, there are as many as 48 million people in the United States who are deaf or hard of hearing. Roughly 3 million of them count themselves among the deaf community—those whose native language is American Sign Language. Since its launch less than a year ago, DHI is making its presence felt across the university and beyond as part advocate, part research organization and part collaborator with other like-minded organizations. Concerned that most medical school curricula do not include any formal coursework or training in delivering health care to the deaf and hard of hearing, DHI leaders have given presentations to medical students at Johns Hopkins and Harvard, and they have plans to present at Yale in March. They’ve also met with the Association of American Medical Colleges to discuss developing a pilot educational program that could be used at medical schools across the country. One of the group’s most ambitious projects is producing and marketing a see-through surgical mask designed to enhance lip reading and facial expression in settings where masks are necessary. The product is currently under development. Joseph Heng knows the challenges that deaf patients face. He was born in Singapore, profoundly deaf. At 12, he received a cochlear implant. Though many deaf individuals don’t prefer assistive technology, Heng found it beneficial. “My brother and I both are deaf, actually. It’s something genetic, but the cochlear implant changed my life,” Heng says. At 20, he came to the United States to attend Johns Hopkins, eventually earning a degree in biomedical engineering from the Whiting School of Engineering. His medical degree is from Yale. He speaks fluent English. He even plays the piano. These days, Heng is a resident in internal medicine at Johns Hopkins and among just a handful of deaf doctors ever to have worked at the institution. He is the first ever to wear a cochlear implant. “Few doctors and nurses have experience in communicating with the deaf and hard of hearing. They hurry. They look at the computer or their charts, not at the patient. They turn their backs. When they do, the visual cues that are so important—the eye contact, body language, lip reading—disappear,” Heng says. But these challenges are not limited to deaf patients, Heng says. They extend to encompass patients who have lost hearing later in life but who continue to communicate primarily by speech or in writing. Often, these patients are in declining health and are accustomed to communicating directly with their doctors by talking. Typically, they do not know American Sign Language. Just when communication is most important, the usual tools fail and the dangers grow as the seriousness of a medical situation worsens. Challenges also crop up in unexpected places at hospitals. Television monitors may lack closed captioning. Public announcement systems relay important information. So much health information is disseminated through audio channels instead of visual means that deaf and hard-of-hearing patients can miss out on important knowledge, says DeCarlo-Gahagan. Even the simple notion that American Sign Language is a mere translation of spoken English is a misconception. Sign language is a language unto itself, complete with slang, regional dialects, and even personal and familial variations that can make the interpreter’s job extremely difficult, Dittmar points out. Susan Velarde is the administrator of Language Access Services at Johns Hopkins, which serves The Johns Hopkins Hospital, its satellite locations and various Johns Hopkins Community Physicians locations. It is her job to ensure that all non-English-speaking patients are properly cared for, including those who use American Sign Language—the fifth most requested language at Johns Hopkins, representing about 5 percent of total language requests, she says. Language Access Services recently hired its first full-time sign language interpreter, who joined two part-time interpreters. The program also maintains a 30-year relationship with a Baltimore-based interpreting service—which can be scheduled on an as-needed basis—and provides video remote interpretation services. At The Johns Hopkins Hospital, all interpreters have bachelor’s degrees, and some have master’s degrees, in interpretation, and all are required to take additional courses in medical interpretation and terminology, according to Velarde. 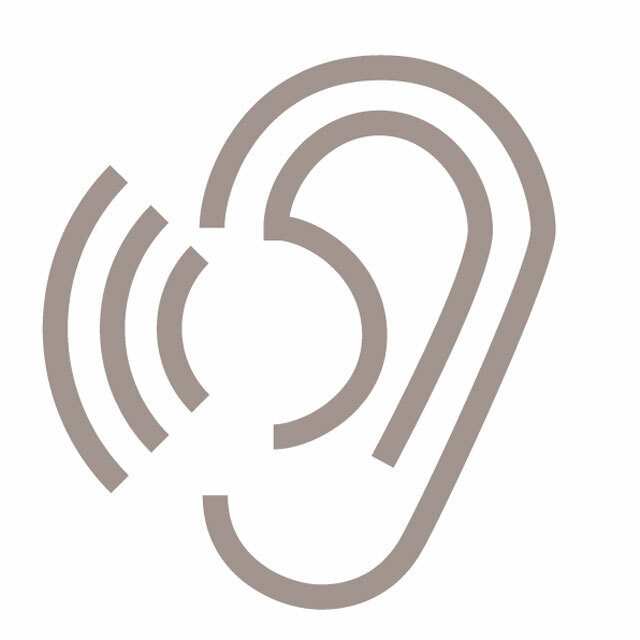 Institutional efforts are underway systemwide to improve care for deaf and hard-of-hearing patients, says James Page, vice president of diversity and inclusion for Johns Hopkins Medicine. His greatest challenge, he says, is the considerable geographic dispersion of Johns Hopkins Medicine—from The Johns Hopkins Hospital in Baltimore to All Children’s Hospital in Florida. Page has met with the leaders of DHI to listen to their concerns and evaluate solutions. He is working with Gallaudet University, the nation’s top institution of higher education for the deaf, to refine proposed ideas. “James has been especially receptive of our recommendations,” DeCarlo-Gahagan says. “He wants Johns Hopkins Medicine to be a leader in health care for the deaf community.” For his part, Page says he expects to see a variety of new initiatives rolled out within the next year or two.